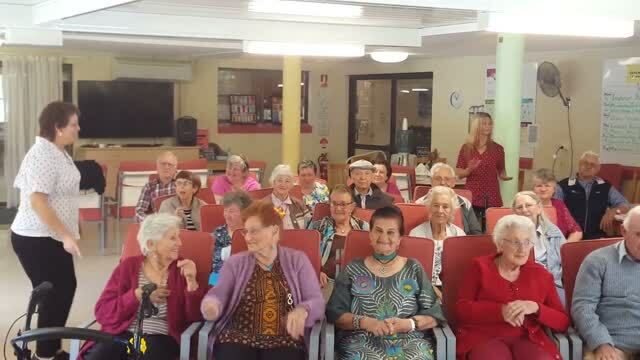 Dave is a swing / easy-listening crooner formerly based on Queensland's glorious Coral Coast, and located in Bargara as of end of April, 2018. PLEASE NOTE: I will no longer be taking booking requests for the Sunshine Coast Region as of end of April 2018, although still honouring commitments made earlier for bookings beyond this date. As always, consult the Gig Guide for current availability, or call on 0411 511 300. 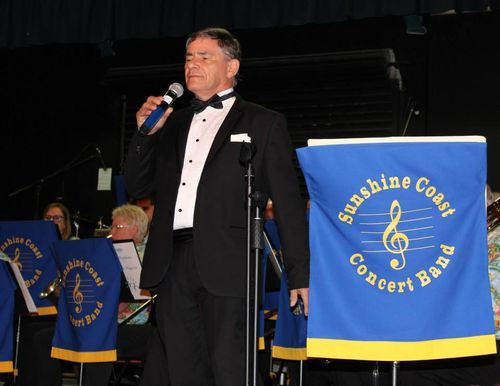 After winning the inaugural 2006 Sunshine Coast Senior Superstar, Dave continues to add to his repertoire those fabulous songs as recorded by artists like Nat 'King' Cole, Dean Martin, Bobby Darin, Matt Monro, Perry Como, Andy Williams, Tony Bennett, and of course Frank Sinatra to name but a only a memorable few. Unfortunately, I no longer have the honour of singing 'Live' as a featured guest artist with the 35+ piece Sunshine Coast Concert Band, a great musical group that brings musical memories to life with those great Big Band swing sounds from the 30's, 40's and 50's that were so popular in dance halls and clubs around the world - and they still are today! I encourage all to support this group by attending one of its many dances or charity concerts throught the year, with info available on their Facebook page. 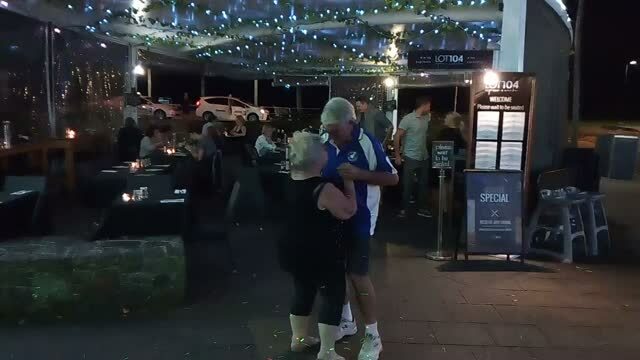 Dave had recently performed publicly at Caloundra Street Fair and during holiday times at Twilight Markets, and added swing to Tuesday "Date Night" and Thursday evenings for the dining and cocktail crowd at Lot 104 and on most Fridays and Sundays at Bavarian Beach Bar & Cafe in Mooloolaba. This has ceased as of end of April 2018. For other events, consult the up-to-date Gig Guide tab above. 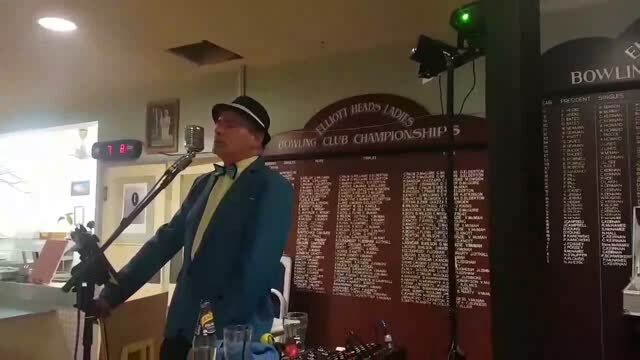 I now sing regularly, meaning most Friday or Saturday evenings at Rick's at Bargara, located on the Bargara Esplanade right across from the beach. You can find Rick's on Facebook, and bookings are always recommended. Here's a short video of some impromptu, "Dancing In The Street" at Lot104 in April 2017. Another in the "Dancing In The Street" series from Lot104 in April 2017. A lovely clip from last year, at Glasshouse Country Care. The residents (and the staff!) love to get In The Mood! 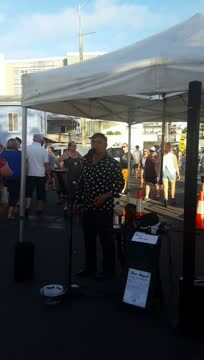 This is a video clip from a recent Twilight Markets performance in Caloundra, Qld. I'm singing a classic Sinatra tune, also recorded by many others like Nat 'King' Cole, Mel Torme, Ella Fitzgerald and a host of others, and is called "It's Only A Paper Moon". 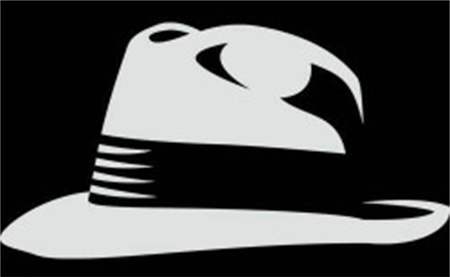 Click HERE to inquire about a specific event or availability on a date.